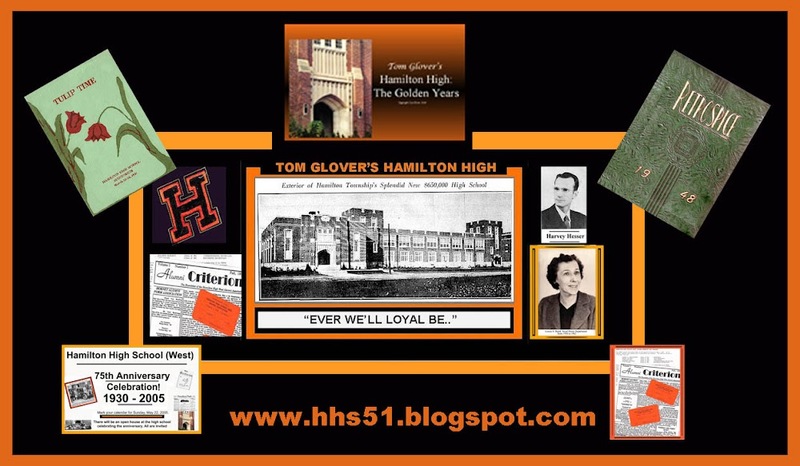 Hamilton High: "EVER WE'LL LOYAL BE": 1951: Still side by side after all these years! 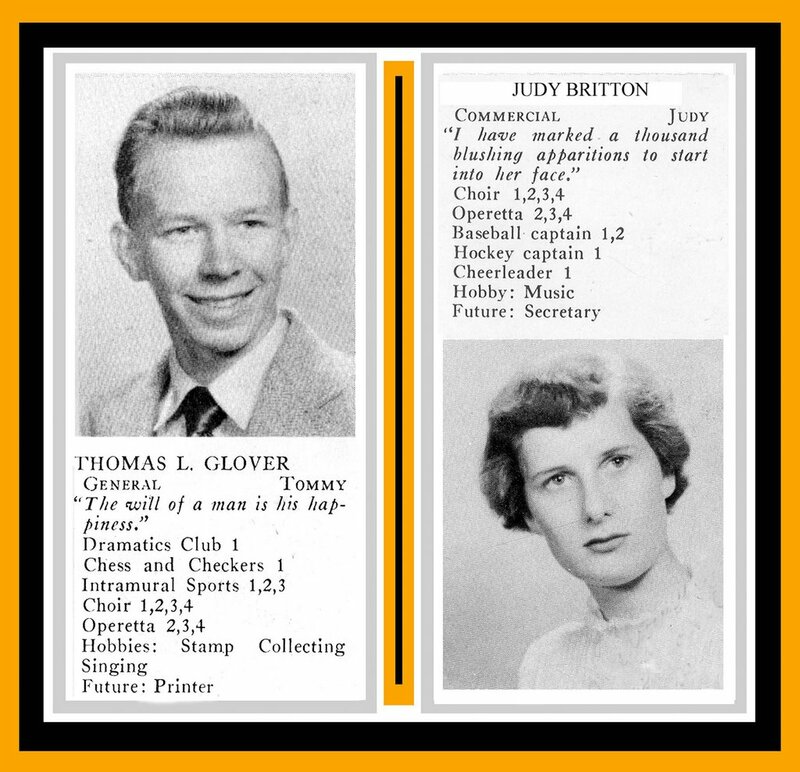 1951: Still side by side after all these years! Were we ever this young? Here we are, still side by side after 52 years of wedded bliss. Both of us were years 1-2-3 and 4 in Louise Baird's choir, and indeed, that's where we met. 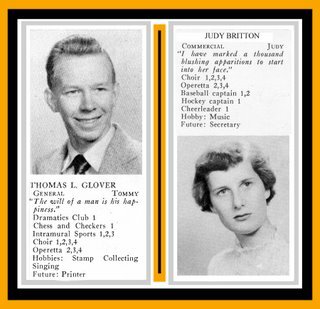 You will note that we were only in the operetta "2-3 &4" because we were freshmen at Kuser Annex. My aspiration for a career in printing was never met. Back then one had to serve an apprenticeship with very minimal pay. Judy did acheive a secretary position with the Childrens' Home Society of New Jersey for a few years, but when we began our family, we both felt that children need a Mom to come home to. As a result, she ditched her secretarial aspirations and assumed the most difficult career of all: Homemaker!